Hello my dear readers! 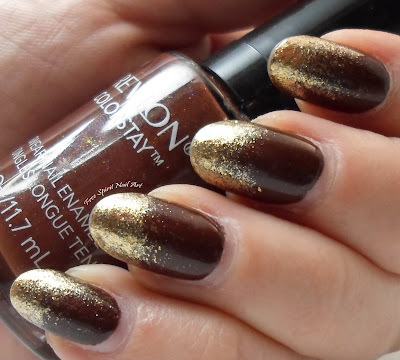 Today I'm sharing with you a glitter gradient mani I did using Zoya Ziv (gold) and Revlon French Roast (brown). I started with a base coat of Sinful Colors base coat. So far I've actually had really good luck with it, no lifting and it's been great at stain blocking. For now I'm gonna keep using it unless anyone has any other suggestions for an in-expensive base coat. 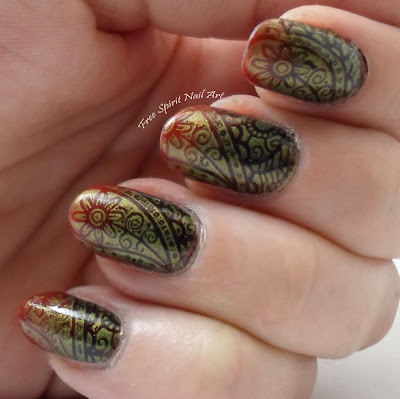 After my base coat it was actually a pretty quick and easy process to complete this mani. I did two coats of French Roast then used a make up sponge to dab on Ziv and sealed it with a top coat of Seche Vite. Please forgive my tip wear as I type all day at my job and forgot to take pics before I left for work! Other than the tip wear I think they look great. 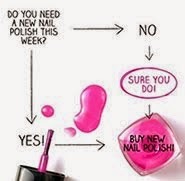 Grandma even likes them and she's pretty conservative when it comes to nail polish! Thanks for stopping by and as always please share it if you like it!